Limit exceeded for this tool! According to the latest local search ranking factors study the categories of your listing are one of the most important factors for better ranking. The tool is designed exactly to help you choose the most relevant categories for your business, to show you what you have missed and what you have overtaken. 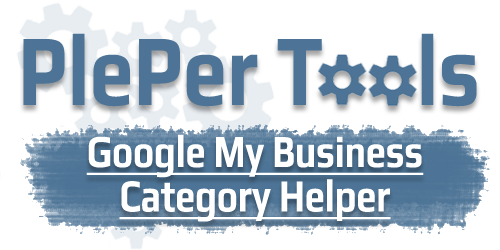 Category selection is based on listings that rank best for certain keywords. The tool is free to use! If you already have a listing and it's not a SAB in the "Your Business" field, start typing your business name and select it from the drop-down menu. If you do not have a listing yet, you can enter an address and search will be made based on it. In the "Keywords to search for" field, enter up to 3 keywords (comma separated) for which you would like to rank. We will make nearby searches around your GMB listing/address, and we'll show you which categories are most commonly used and which categories are missing from your GMB listing. When you enter more than one keyword, you will be able to see results across keywords as well as merged results.